This is a pivotal time for our country, journalism and public radio. We’re in a typhoon of transformation fueled by changing demographics, media habits and business models. Amid the tempest is an extraordinary opportunity for public radio in shaping the future of local and national journalism. The void in local news coverage, most evident in the decline of newspapers, has created an obvious need for public radio stations to step up their newsgathering. It’s time to stop dancing around the commitment this will take and plan for it strategically. Newspapers were the foundation of journalism. They built large newsrooms and produced the highest-quality reporting. They were the most dependable source of news for many communities, but that is no longer the case. 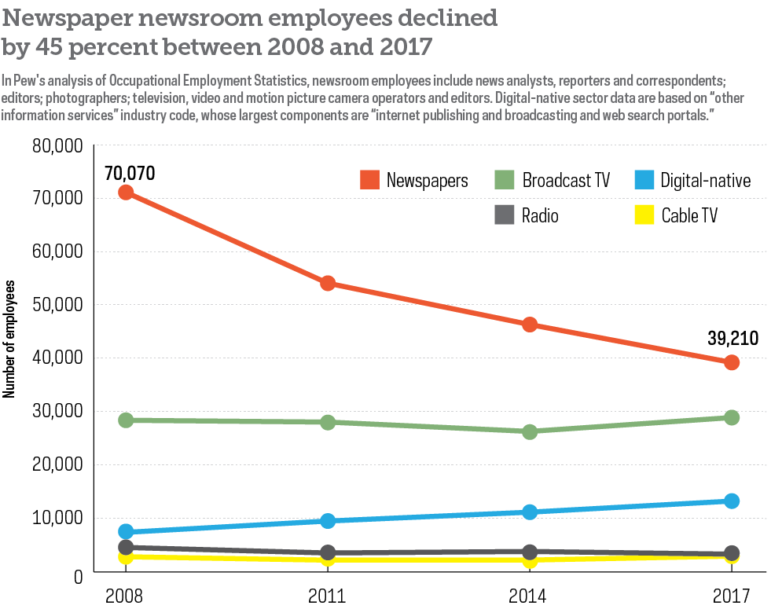 From 2008 to 2017 newspaper publishers cut more than 45 percent of their newsroom staffing, according to the Pew Research Center. It’s time for others to claim responsibility for local journalism. This is where public radio must step up. There is no medium better positioned than public radio to fulfill this role as a primary source of local news, though we must build on the legacy of newspapers with our own multimedia strengths. We must become more nimble, inclusive and connected. We must pick up the mantle of public service journalism in our communities, especially in small and mid-sized markets where local newspapers are in serious decline. Public radio stations have been expanding their newsrooms. A data analysis by the Station Resource Group found that stations added at least 510 full-time journalists between 2011 and 2016. When data on part-time and contract journalists were added, the total jumped to 668 positions. These numbers are small in comparison to the thousands of jobs lost in the newspaper newsrooms, but they represent significant growth for public radio, especially for journalists working in their communities. There’s unprecedented momentum and desire to strengthen the public radio system and the journalism we produce. It’s evident in many quarters, perhaps most prominently in planning of the NPR-Station Compact that would create a true national and local news network. But what do these ambitions mean for journalism writ large and democracy as a whole? Recently, during the Public Radio Program Directors Association conference in Austin, Texas, I participated in conversations about how public radio should become a frontline news provider for local communities. What’s been missing from these conversations is a mandate and clear path to achieve a new vision of journalism and its role in supporting our troubled democracy. We need a vision that expresses what public radio will do for itself and what it will do for democracy. Public media often shies away from defining a “Really Big Vision” for the future of our service to the American public. It’s been nearly a decade since the Grow the Audience survey by Station Resource Group, funded by CPB, laid out a blueprint for the future for public radio in a rapidly evolving media landscape. We’re long overdue for another such plan. This is our moment to create that vision, one that connects our stations and newsrooms to a grander ambition of shaping the future of journalism. We need a vision that expresses what public radio will do for itself and what it will do for democracy. I think the logical next step is to create a strategic plan for public radio — one that defines a mission, vision and strategy for our future as the driver of local and national journalism for this century. This document would function as the grand plan for all of us — local and national organizations — and would align with strategic plans of all who participate. The planning process must examine public radio’s role in filling the void left by the decline of newspapers, and assess the opportunities and risks in this evolving environment. All the major organizations in public radio — NPR, PRX, CPB, American Public Media, Public Radio Program Directors Association, Public Radio News Directors Inc. and Greater Public — should be at the table for these discussions. Assess and update the 2010 Grow the Audience survey as we approach its 10-year anniversary. 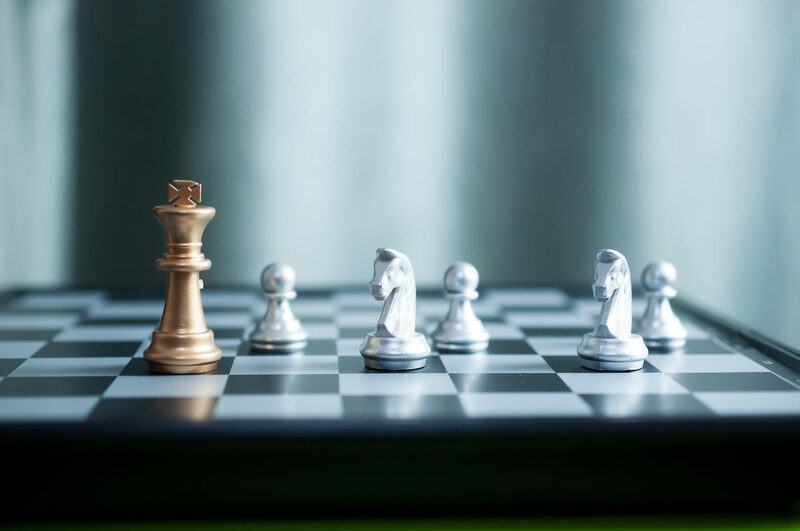 Use the strategic plan to align national and local public radio initiatives so they are clearly working toward an end goal of building a journalism network for the 21st century that serves the public interest and repairs the battered Fourth Estate in function and form. This will require us to clearly define connections among the NPR-Station Hub initiative, local and regional journalism centers, culture of journalism initiative and the NPR-Station Compact, and how they work together to achieve the big vision of the strategic plan. Conduct an analysis of the top 50 public radio markets to catalog the strengths and weaknesses of stations versus local papers and other media. Then use the analysis to identify opportunities in those markets for public radio to fill the void in local news coverage and cultural programming. This process would be expanded to smaller markets, where there is also a growing need for sources of sustainable local news. In markets where public radio stations have the greatest opportunity and community need to become the frontline news outlet, provide system support to individual stations as they develop specific strategies and tactics for editorial and fundraising growth. I urge NPR’s executive team to work with other system and station leaders to move forward on an all-encompassing vision and strategic plan for the future of public radio as a primary source of local and national news. CPB will be a key player in planning and pursuit of this big vision. It must become more nimble and responsive in its funding of the initiatives that originate from it. Leaders of CPB and other public media institutions should examine how federal appropriations are divided between public radio and public television. Instead of allocating 75 percent of federal funds to public TV, reverse the formula so that 75 percent goes to public radio. Why? Because public radio is most capable of filling the local news void. We need to be crystal clear about what it will take for public radio to accomplish this. The goals and priorities we set should drive thinking of public radio’s leadership for the next decade. Daily newspapers had their era as the engines of local journalism and civil discourse — and what an era it was. Focusing on how we fill the void left by their decline isn’t predatory — it’s preparatory. Nothing less than the future of our democracy is at stake. Public radio needs to rise to the challenges of this moment. Let’s create a strategic plan to do it. Joe Barr is chief content officer at Capital Public Radio in Sacramento, Calif. 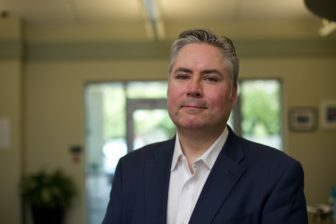 In addition to overseeing news, music and digital platforms, he leads multiplatform content development, including the fact-checking website PolitiFact California and The View From Here, a local documentary series with a community-engagement focus. Attendees at the Public Radio Program Directors conference heard an update on the collaboration involving four stations in Texas.